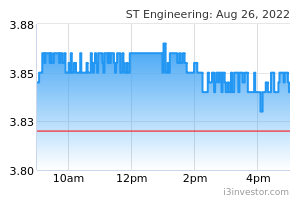 ST Engineering announced after trading hours on Tuesday that its aerospace arm secured new contracts worth S$450 million in the fourth quarter of 2018 for services including maintenance and modification for wide-ranging aircraft parts from the airframe to components.This brings the total value of the contracts to S$2.06 billion for 2018. 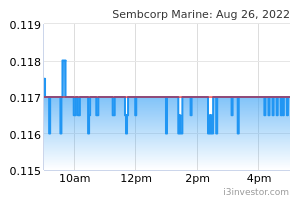 Sembcorp Marine’s subsidiaries Sembcorp Marine Repairs and Upgrades, and Semb-Eco on Tuesday entered into a share swap agreement with Ecospec Global Technology and their shareholders Chee Hwee Hong and Neonlite Investments. 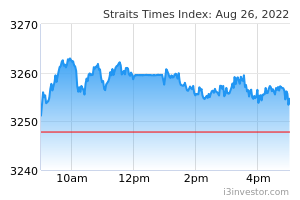 Some 10 million shares representing 20 per cent of the issued share capital of Ecospec Global Technology will be exchanged for 23.8 million shares representing 45 per cent of the issued share capital of Semb-Eco. JP Morgan Chase posted quarterly profit below analysts' expectations for the first time in 15 quarters as whipsawing markets late last year impacted bond trading desks. The bank generated $1.98 per share in profit for the fourth quarter of 2018, below the $2.20 per share average estimate of analysts surveyed by Refinitiv. 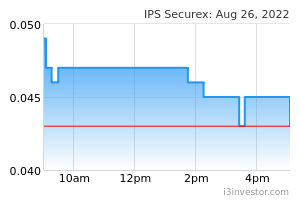 IPS Securex Holdings announced that it has received a letter of acceptance from an undisclosed government agency in South-east Asia for a contract worth S$19.1 million.Out of the S$19.1 million, up to S$10.1 million is for IPS to supply, deliver, install, commission and test an integrated security solution (System A) and provide maintenance support services for seven years for System A following its complete implementation, as well as other System A support and professional services.